Israeli model Bar Rafaeli arrives at the Marchesa Spring 2013 fashion show, sponsored by Land Rover, in NYC on September 12, 2012. Clad in a white, chic dress, Amy Adams attends the Calvin Klein presentation during NYFW Spring 2013. Emma Stone attends the Calvin Klein presentation during NYFW. Jenna Dewan-Tatum arrives at the Marchesa Spring 2013 fashion show, sponsored by Land Rover, in NYC on September 12, 2012. “Gossip Girl” actress Michelle Trachtenberg arrives at the Marchesa Spring 2013 fashion show, sponsored by Land Rover, in NYC on September 12, 2012. “Modern Family” actress Sarah Hyland arrives at the Marchesa Spring 2013 fashion show, sponsored by Land Rover, in NYC on September 12, 2012. Cher Lloyd performs her song “Want U Back” at NYFW during the Tumbler and Tipsy show. She’s wearing a NAVEN skirt and top. The newly single mom is seen out at NYFW s/s 2013 wearing a classic ensemble of black skinny trousers and a white top with a blazer. The stunning actress attends NYFW in a perfectly-styled outfit complete with purple booties. Designer and stylist Rachel Zoe attends NYFW with her husband Roger Berman. The “Newsroom” actress looks enviable in green during NYFW. The two celebs attend The Blonds fashion show for spring 2013 during NYFW. 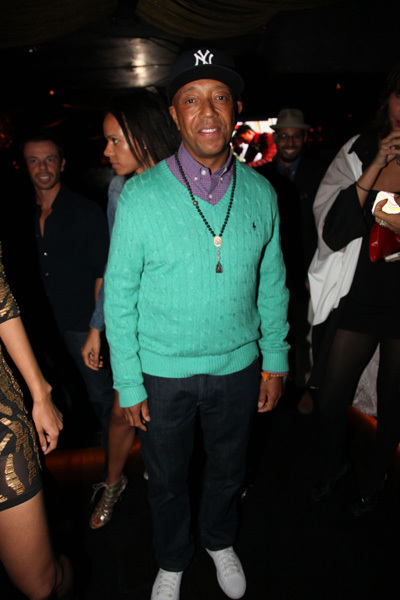 Russell Simmons celebrates the launch of Argyleculture’s 2012 menswear collection the last day of NYFW S/S 2013. Angela Simmons supports Russell Simmons at his launch of Argyleculture’s 2012 menswear collection at Lil Charlie’s in NYC on the last day of NYFW. 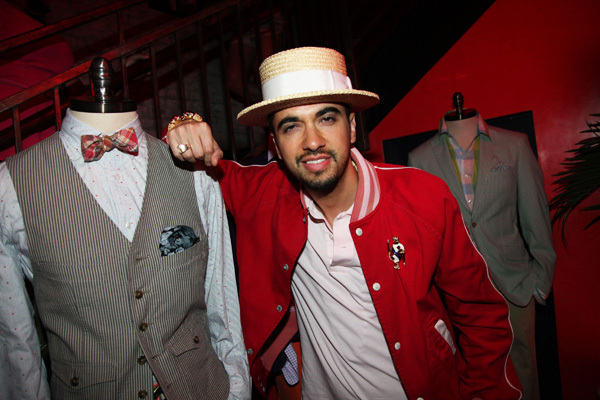 DJ Cassidy, who spun at Russell Simmons Argyleculture’s 2012 menswear collection launch, takes a break from spinning tunes to pose with a couple pieces from the collection. We’re digging it. Cynthia Rowley’s daughter Kit Rowley attends her mother’s Spring 2013 collection launch during NYFW. Kit is wearing her mother’s new line DREAMPOP by Cynthia R. available exclusively at JC Penney. Cynthia Rowley’s daughter, Kit Rowley, stopped by her NYFW wearing her mother’s new line DREAMPOP by Cynthia R. available exclusively at JC Penney with her friends, Zoe and Ruby.